– No bouquet is more iconic on Valentine’s Day than a beautiful arrangement of roses and it’s clear why. Symbolising passion and romance, this bouquet of 12 red roses is the perfect gesture to show your special someone just how much you care. – Includes tulips, anemone, roses and pistache this bouquet will give long-lasting butterflies to the special someone lucky enough to receive it. Valentine’s Day often creeps up on us and before we know it we are in need of a gift as soon as possible. Not to worry though, because Flying Flowers offer FREE delivery on all of their Valentine’s Blooms and Gifts that will arrive in time for the day. 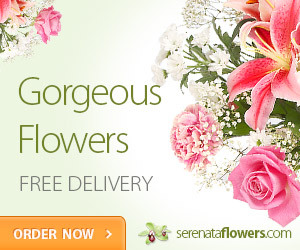 – Sending a bouquet of stunning, crisp white blooms will say it all this Valentine’s Day. Featuring a number of floral favourites, including freesia, alstroemeria, roses and antirrhinums, this bouquet has certainly been designed to impress. With Letterbox Roses by Post there’s no need to wait in for the postman!